What we know about Mount and Blade 2: Bannerlord's release, combat, castles and more. Mount and Blade 2: Bannerlord is a gargantuan chimera; it's a Medieval fantasy sim that bounces between RPG, management and strategy, set within a war-torn sandbox. Starting from nothing you can eventually establish a dynasty, traipse around the world robbing everyone or become a famous, tournament-winning knight. Despite being a bit janky, the original game was improbably ambitious and ultimately brilliant, making the wait for the sequel seem even longer. 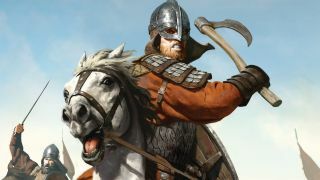 Here's everything we know about Mount and Blade 2: Bannerlord, including its sieges, large-scale combat, campaign and multiplayer. As of 2019, it still doesn't have a release date. But there will be a Mount and Blade 2 beta, so that's something. If you need to pass the time until Bannerlord arrives, consider checking out our list of the best RPGs on PC. Does Mount and Blade 2: Bannerlord have a release date? Bannerlord was announced way back in 2012, and it's had at least one tenuous release window that it has since drifted past. Developer TaleWorlds Entertainment says that it won't announce a release date, or speculate, until it believes the game is ready for players to descend upon it. We have played it, though, so in theory it'll have a release date before the end of the universe. Will Mount and Blade 2: Bannerlord have a beta? Yes! An "upcoming" closed beta was teased in a developer update in April, and TaleWorlds will be revealing more details in future blog update. Unfortunately we don't know what the beta will contain, though it might be multiplayer. The tease was slipped in at the end of a blog detailing the multiplayer skirmish mode, so the beta could be designed to test PvP. We should know more soon. The singleplayer campaign is a Medieval sandbox where you can… well, do what you want. If you're like Tom, for instance, you might try to amass a large amount of gold by duking it out with bandits and selling your prisoners. From what we've seen and played so far, it's as purposefully directionless as its predecessor, presenting countless different paths and a map full of towns, cities and kingdoms. The map hasn't been fully unveiled, but from the trailer and demos it appears to be pretty dense. It definitely evokes its predecessor. Though it's set 200 years before the first game, it's still the same world—even the font looks the same. Between camps and settlements NPCs roam, trading, looking for people to rob and marching to battlefields. With them comes more opportunities for potential fights. A group of bandits might start chasing you, or you might decide to prey on travellers yourself, backed up by your own group of ne'er-do-wells. When you're exploring Calradia, you get an overhead view of the world, but whenever you enter a battle or a town, the map is left behind and the game switches to a third-person perspective. In towns, you can wander around finding work, making new pals or perhaps even joining the criminal underworld. Conveniently, if you don't fancy loading into a town, you can also do most of this from the town menu that's accessible from the campaign map. If you tire of small potatoes, you can march to war. Troops can be purchased with gold, though reputation also plays a role. Instead of building your reputation with towns and villages, you'll be forging them with notable NPCs. The friendlier you are with a recruiter, for example, the better prices you will get when putting together a warband, letting you ride out with an army, conquering towns and besieging castles. Perhaps you'll do it in the name of your faction, or maybe just because you fancied a change of pace. With fame comes influence and the ability to meddle in politics. It's a new type of currency that lets you exert your influence over a faction and is especially important when you're raising big ol' armies. It can be used to make an allied lord follow you, but also to summon them and their own forces. If you have a lot of victories and the lords are kept content, the army can go on a grand campaign, but if things go poorly, it might disband, with everyone abandoning you. There are no nefarious villains bent on destroying the world, no magical MacGuffins, no epic quests doled out by random women in lakes; instead the stories (and let's not forget, anecdotes) are generated by the simulation and its reactions to what the player and NPCs do. If bandits are allowed to settle an area, then someone in the nearby village might create a quest to get rid of them. If you get all buddy buddy with a powerful lord, you might find yourself embroiled in a massive war that sees another kingdom crushed. It's more Crusader Kings 2 than The Witcher 3. Each faction in Bannerlord has its own unique history, culture and military tactics that will come into play from the moment you start making a character and decide where you come from. You're not locked into anything, however, and can strike out and find a new place to call home and a new faction to work for. These factions aren't just homogenous kingdoms. They're empires that contain minor factions, lords vying for attention, mercenary groups, cults and brotherhoods. The Battarian Wolfskins are a clan of violent warriors who live like wolves, for instance, while colonies belonging to the Calradian Empire have become more like their steppe neighbours (and sometimes enemies) by adopting their skill with horses. The big one. The Calradian Empire is the Roman or Byzantine Empire of Bannerlord. It's beefy, powerful and the game orbits it. It's actually more like three factions, as it's been split by a civil war, giving players an opportunity to take sides, reforge it, or crush the lot while everyone is squabbling. The Empire likes its heavy cavalry, spearmen and combined arms assaults. Like the Normans they're based on, the Vlandians started off as warriors and mercenaries fighting for coin, but eventually settled down on land granted to them by the Empire, from which they carved out their own kingdoms. The Vlandians have a lot of territory, though apparently not everyone gets along. Expect a lot of internal conflict and lords that love a good quarrel. They've got strong cavalry and a penchant for crossbows. The horselords of the Khuzait Khanate are Bannderlord's analogue for the Mongols under Ghengis Khan, but also other steppe peoples like the Khazars. This is after they left the steppes for a spot of empire-building. Not surprisingly, then, Khuzait warriors are pretty handy with a bow, especially when they're riding a horse. These horse archers are the Khanate's most powerful weapon against their neighbours. Battania, inspired by various Celtic kingdoms, protects its borders with night-time raids on enemies, forest ambushes and deadly longbows fired from behind the walls of a hill fort. And they've had to do that a lot because, just like their historic progenitors, they've had to deal with some rather nasty invasions, historically with the Empire, but more recently from the Vlandians. The Aserai live in the most arid parts of the map, amid sand dunes, oases and mountains. TaleWorlds looked to Middle Eastern tribes and kingdoms before the conquest of Spain for inspiration. In battle, they fight with spears, bows, short swords and javelins. In particular they love their horses, and Aserai horses will have unique characteristics. Bannerlord's combat, at its simplest, is all about attacking and blocking from the right direction. You want to aim and time your swing and stabs where your enemy isn't defending, while making sure you can block any follow-up attacks. This is just for melee, of course, and the game will also feature ranged combat. Complicating things are the additions of stuff like kicking and feints; you've also got to consider your stats, your enemy's stats, what armour you're both wearing, how fast you are and the physics simulation that's running under the hood. Because of weapon physics, a sword isn't just a sword: it's the blade, the pommel, the guard and so forth. These things can change a weapon's properties, something you'll want to take into account if you're crafty. These parts determine the weapon's length, mass and weight distribution. A longer weapon has more range, a heavy weapon is slower but more powerful, while the weight distribution affects the speed and power of your swing. The weapon type obviously matters, as well. A sword doesn't function like a spear, and a spear is going to feel different from a mace. Knowing how to handle yourself when facing a handful of bandits is all well and good, but what about armies? These large scale battles throw tactics into the mix as you try to manage a combined arms force that stretches across the battlefield. As a leader, you can dole out commands to your subordinates and put them in advanced formations, but you might not be the head honcho at all, taking orders instead of giving them out. Armies won't always meet on the battlefield; sometimes they'll be hidden behind indomitable walls, or below them, trying to get in. A lot of factors are involved during sieges. Your approach might differ depending on the location, whether the castle is on a hill or perhaps in front of a lake, or how advanced it is. They can be upgraded with thicker, taller walls and more imposing defences. Defenders might have fixed weapon positions, heavy stones that can be dropped on top of enemies trying to smash down the gate and all sorts of nasty traps; attackers, on the other hand, get siege engines. If there's a big wall in front of you, battering rams, siege towers, catapults, ballistae and trebuchets are going to become your best friends. Sieges can also be a waiting game. You don't have to try and take the castle straight away. When an army surrounds a castle, they cut off its supply, destroying its economy and starving the inhabitants. That takes a while, however, so it might just be easier to swallow some losses and start flinging men at the walls. You can start relationships with NPCs in Mount and Blade 2: Bannerlord—and babies will be born out of that, with their facial features combining from the two parents, along with some random traits. You can talk your way out of trouble in Mount and Blade 2: Bannerlord. The game's reputation and personality system will have an impact on how a conversation plays out—the better regarded you are, the more likely you'll be able to convince someone to do something for you. Charm, charisma or roguery might work, too. A progress bar will show you how close you are to convincing the NPC in question. "The persuasion system is often a gateway that leads you into the barter system," Taleworlds explained. "Some lords will do anything for honor, or for revenge, but most want some sort of token of your appreciation up front. Each successful persuasion attempt will help to reduce the monetary cost of the action you would like to perform when it comes to the bartering stage, whereas repeated failures might make a deal impossible to reach. And if you push your luck too much, then you run the risk of severely impacting your relations with NPCs in a negative way." Sounds like a lot can go wrong—and a detailed system. Maybe you're not in the mood for a fight—maybe you'd prefer the good life, wearing fine clothes and swimming in a vault of cash. If that's your goal, you'll want to start your own enterprise. You can open up a brewery, butcher, linen weaver, mill, smithy, stable, tannery and several other businesses, established in a building of your choosing in a specific settlement. In each case, you take resources and, through crafting, turn them into goods that can earn you a profit. And you don't need to stop at one. None of this happens in a vacuum. There's a simulated economy where lords and merchants compete for customers, fomenting rivalries and less-than-respectable business practices. If you really want to deprive an enemy of gold, for instance, you might buy up all the resources they need, or make a competing business. How does character progression work? Characters develop as they acquire and improve skills and perks. Skills range from weapon-specific stuff to crafting and tactics, and they improve with use rather than letting you put points into them. Keep landing hits with your bow, for example, and you'll start to improve as an archer, eventually unlocking perks. These come in both active and passive varieties, giving you nifty bonuses. If you want to bring more ammunition into a fight, increase the size of your party or learn how to reload any crossbow even when you're bouncing around on your horse, there are perks for all of them. There is a catch: you have to use focus points to start improving skills. You get these by levelling up, letting you then invest them in the skills of your choice. Focus points can also be used to increase how quickly you improve your skills, however, so it's not just an obstacle. It's possible to use companions to plug in any gaps. Companions differ from regular mercenaries and troops that you'll gather in that they have names, backgrounds, skills and perks. All of this benefits you, their leader, as you get bonuses from them. They can also be assigned roles in your army, letting them become surgeons and quartermasters. Bannerlord's multiplayer Captain mode pits up to five players against each other (or in teams) as they command their armies to slaughter their enemies and capture flags that move around the battlefield, keeping everyone on the move. So you have your own fights to worry about, an army to manage, and allies with their own armies that you need to communicate with—there's a lot going on! These battles take place outside of the campaign, so you can make a character and customise your soldiers, possibly giving you a taste of what's to come if you've not played much of the singleplayer. It's here that you can start planning with your allies, trying to figure out how you can complement their own setup. Skirmish mode, meanwhile, flings two teams of six into battle, just players and no bots. Every player gets a hoard of points to spend on a class, but the better they are, the fewer spawns you'll be able to afford. So while battles will be asymmetrical, with mounted knights crushing pitchfork-wielding farmers, you'll run out of points a lot faster if you only select the toughest classes. Mods! A diligent (and large) community of modders and mod-consumers grew around the previous game, so of course Bannerlord will have modding support. The new engine, says TaleWorlds, makes things easier for creators, along with tools like terrain and scene editors. It will also support multiple mods working at the same time. TaleWorlds hosted a large Q and A for modders last year, so give that a look if you've got dreams of creating dozens of factions, new lands and flashy weapons. Will Mount and Blade 2: Bannerlord release in Early Access? While we don't have a release date, we do know that TaleWorlds is planning an early access phase, though beyond that the developer remains tight-lipped.